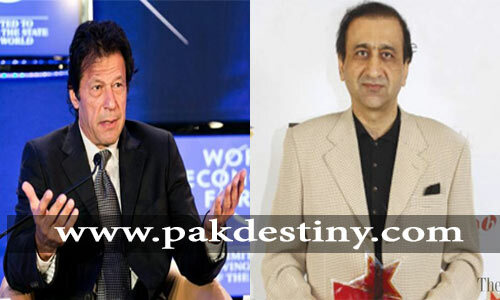 Islamabad, Aug 1 (www.pakdestiny.com) PTI chairman Imran Khan will courageously face the Supreme Court in contempt case tomorrow and surprise many, it is learnt. A source close to Mr Khan told Pak Destiny that unlike Raja Pervaiz Ashraf, former premier, Khan may not apologize from the court. “Since Khan has not targeted SC or any judge in particular in his media talk why he should seek pardon from it,” the source said. There is an opinion in the party if Khan apologizes from SC his party workers will not like it as he has not committed any contempt. Khan is taking opinion on the issue from the party stalwarts and legal experts. Court Notice: Earlier, Supreme Court took exception on Wednesday to what it called derogatory remarks made by Pakistan Tehreek-i-Insaf chairman Imran Khan against the judiciary and judges of the apex court at a press conference and asked him to appear before it on August 2 to explain why contempt proceedings should not be initiated against him. “Prima facie, it seems that Imran Khan has started a deliberate campaign to scandalise the court and bring judges into hatred, ridicule or contempt,” said an order dictated by Chief Justice Iftikhar Muhammad Chaudhry. At the press conference on July 26, the PTI chief had criticised the role of the judiciary and the Election Commission of Pakistan and termed it shameful. He alleged that the May 11 general elections had been rigged because of the role played by the two institutions. A note by the SC registrar on the basis of which the contempt notice was issued stated that Imran Khan had also alleged that he wanted to ensure that no such shameful elections were held in future. “The PTI accepted the election results, but not rigging,” he said. At the press conference, Mr Khan expressed lack of trust in the judiciary and alleged that the judiciary/Supreme Court had a hand in rigging the elections. The double standards of the judiciary have come to surface as his party’s candidates were knocked down on technical grounds, the PTI chief had alleged. “Thus these acts call for action for contempt of court under Article 204 of the constitution, read with section 3 of the Contempt of Court Ordinance, 2003. Therefore, notice be issued to Imran Khan to appear before the court on Aug 2 and explain why contempt proceedings should not be initiated against him,” the court said in its order. Attorney General Muneer A. Malik has also been asked to assist the court. If the court is not satisfied with the explanation it can indict Mr Khan for committing contempt and initiate a trial in an open court till finally adjudged to be a contemnor. Section 19 of the contempt law, however, provides an intra-court appeal before a larger bench which can suspend the conviction or any impugned order pending disposal of the appeal. Under section 2 of the law, a contemnor can tender an apology at any stage and the court, if satisfied, can discharge the proceedings. The SC decision triggered immediate reaction from legal circles as well as politicians. The PTI’s vice-chairman, Shah Mehmood Qureshi, said the party would examine legal aspects of the contempt notice and react accordingly. “Imran Khan said nothing derogatory. Rather he talked with reason on the floor of the National Assembly, questioning lack of transparency in the conduct of general elections,” he said while talking to Dawn. The party leadership had not yet received the contempt notice, he said, adding that the PTI was a political party and would definitely adopt a legal course. He said the recent developments, especially helplessness shown by the Chief Election Commissioner while resigning from his office, had raised a number of questions and doubts. Mr Qureshi cited a news report and said the CEC had expressed reservations over intrusion into the domain of the Election Commission. The PPP’s information secretary, Qamar Zaman Kaira, described the issuance of contempt notice to Mr Khan as “very unfortunate” and said such notices always put national leaders in a very “painful situation”. He said Mr Khan might have used some harsh language and he would definitely explain his position before the court, but every political party and every segment of society had the same viewpoint and feeling about the general and the presidential elections. The PPP leader said that even the CEC and some retired judges had expressed reservations over the Supreme Court’s decision to advance the schedule of presidential election. Pakistan Bar Council’s vice-chairman Qalbe Hassan said the judiciary should have distanced itself from the appointment of returning officers because their role in the general elections had forced leaders like Imran Khan to utter something which culminated in the issuance of contempt notice. A former president of the Supreme Court Bar Association, Tariq Mehmood, urged both the judiciary and Imran Khan to show maturity and desist from creating a crisis-like situation. Mr Khan should maintain the delicate balance between the institution and individuals if he has complaints against an individual. At the same time, Mr Mehmood said, the judiciary should also avoid making this an issue of ego. Advocate Chaudhry Faisal Hussain was of the opinion that the chief justice should have avoided interfering in the political domain and ignored political statements for the sake of dignity of the Supreme Court. Delivering appropriate legal judgments, and not issuing contempt notices, elevated the respect of the apex court, he added. Former SCBA president Yasin Azad said it was the right of every citizen to criticise judgments of the apex court, but it should be in a temperate language so that the dignity and respect of institutions were maintained at all cost. Advocate Waqar Rana said time had come to determine limits of the contempt power. The court will have to create a balance between freedom of speech and the power of contempt. Khan should stand on his statement. He will not step back. He is a great leader. Immature statements from a poor leader. Actully he cannot admit his defeat and blaming others.